Posted on March 14, 2016 at 11:26 am. 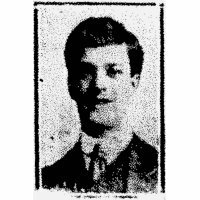 Private Alfred Hemsworth of Pickburn, Doncaster, was born in 1895, the only son of Alfred Hemsworth, a stone mason, and his wife Ann, nee Machin, a newsagent. 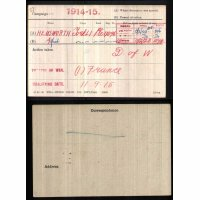 He joined the Kings Own Yorkshire Light Infantry in September 1914 and was sent to France a year later, where he served for just under two years before being wounded during the ‘Big Push’ of July 1916. Alfred was sent back to England for treatment and spent five months in the Queen Mary’s Military Hospital at Whalley, being discharged in December 1916. The following March he once again returned to active service and was sent back to the front. 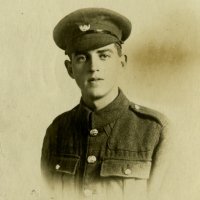 He was wounded again on the 8th September 1917, dying two days later at the clearing station. His captain is quoted as saying ‘He was a fine soldier and will be greatly missed by the whole battalion’. 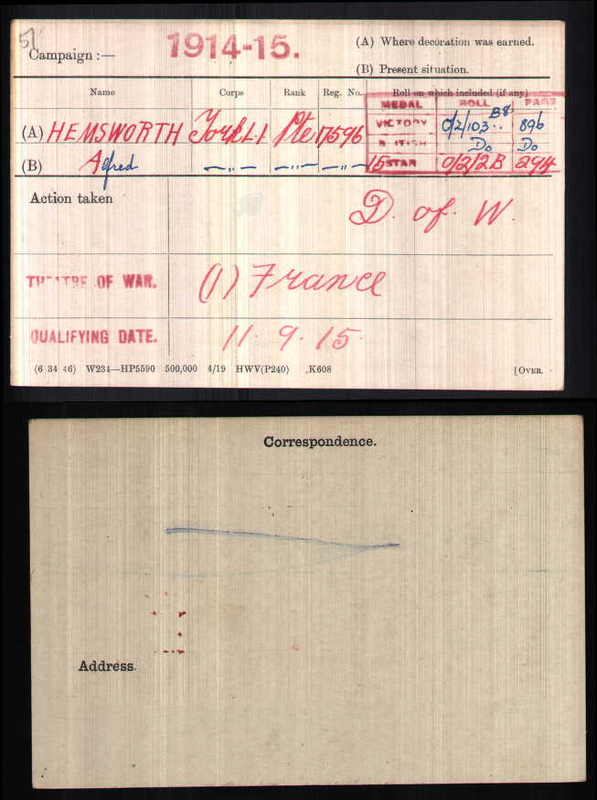 Private Hemsworth was a recipient of the 1914-1915 Star medal. 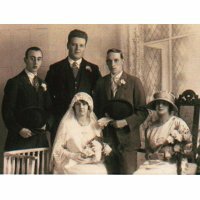 The Doncaster Gazette printed a short notice of his death and a poem ‘from his sorrowing father, mother, sisters and brother-in-law and his loving sweetheart Eloise of Highfields’. At the cost of his own dear life. He is buried in Grevillers British Cemetery, northern France.